« Whitney Museum and Jeff Koons Exhibit to Close October 19 – See It Now! 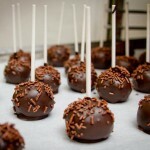 Here’s a tasty tidbit to lure you to Queens this weekend. 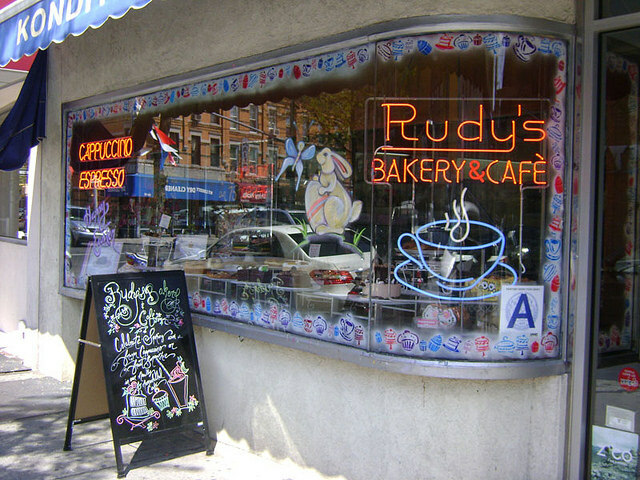 To mark its 80th anniversary, Rudy’s Bakery and Café on Seneca Avenue, the oldest German bakery in Ridgewood, is offering baked goods at 1934 prices. The celebration on Saturday, October 25th, from 12 Noon to 5pm, coincides with Ridgewood’s “Seneca Avenue Oktoberfest Stroll”. For 80 cents apiece, you can try miniature Jelly Donuts, Linzer Tarts, Black Forest Cake, Cheese and Cherry Strudel, and Danish. There will also be complimentary hourly tastings, a German Band, and for the kids, Pumpkin Decorating and a Pop-Up Library. Ridgewood (Queens) has been called the “New Williamsburg” and is the largest historical district in New York. 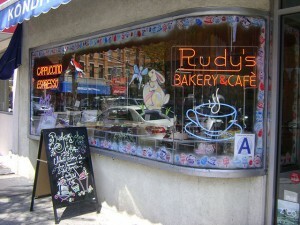 Firmly traditional, Rudy’s Bakery and Café also incorporates the touch of former café at MOMA pasty chef Cristina Nastasi. 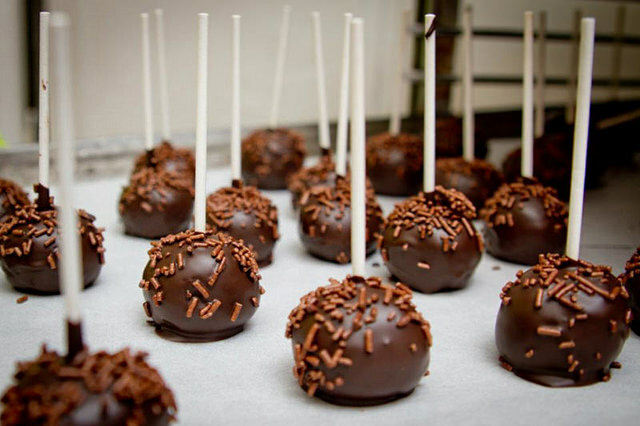 Those seeking gluten-free and vegan treats will not be disappointed. This entry was posted on Wednesday, October 22nd, 2014 at 11:01 pm	and is filed under Stuff to Do. You can follow any responses to this entry through the RSS 2.0 feed. You can leave a response, or trackback from your own site.